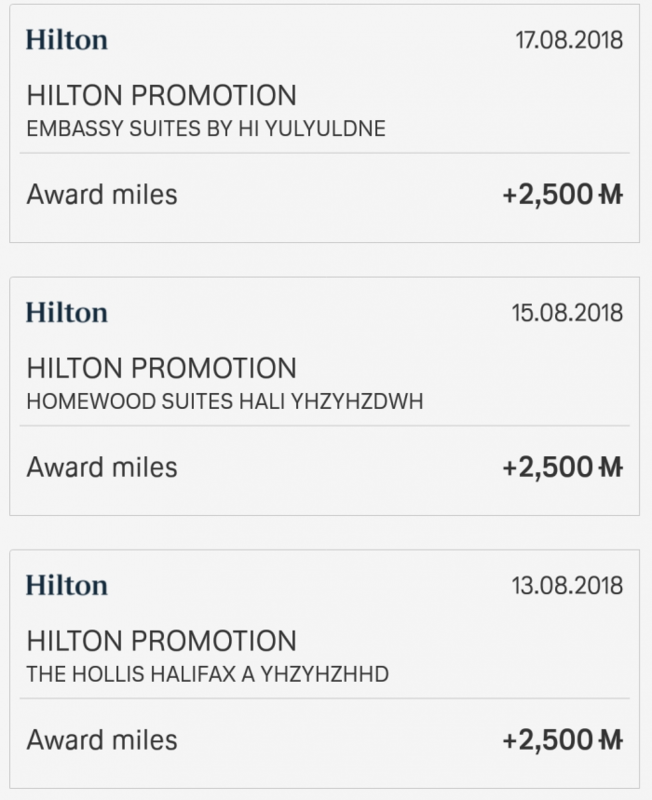 Hilton Honors and Lufthansa Miles&More launched in early August (read more here) very generous promotion for 2,500 miles for each stay between August 1 – October 31, 2018 that you earn in addition to your usual base and bonus points and every reader who stay at Hilton hotels should take advantage of it. Many readers were first confused because Hilton Honors ended their Double Dip earlier this year that allowed members to earn both points and airline miles for their stays. Hilton, however, still retained the capability to run airline related bonus miles campaigns. You earn these Miles&More miles in addition to Hilton Honors base and promotional points. There is absolutely nothing to lose and all the miles to gain! You need to sign up for this offer on Hilton’s website here. The date on the column is the check out one. Seems that Hilton Honors transfers the data to Miles&More weekly on Thursdays (based on my experience). There are four stays that hasn’t posted yet (another 10K miles!). When you register for this offer on the Hilton’s website, there is no box where to input your Lufthansa Miles&More number. You have to make sure that the hotel folio has the Lufthansa Miles&More number visible when you check out. If it is not, make sure that the agent changes it on OnQ (Hilton’s system). Otherwise the miles won’t post. This is a fantastic offer and all Hilton Honors members should take advantage of it through the end of October. There is absolutely no downside as you earn the Miles&More miles in addition to the Hilton Honors base, bonus and promotional points. I have already already 13 stays posted to Miles&More and another four done that should show up there on Thursday. 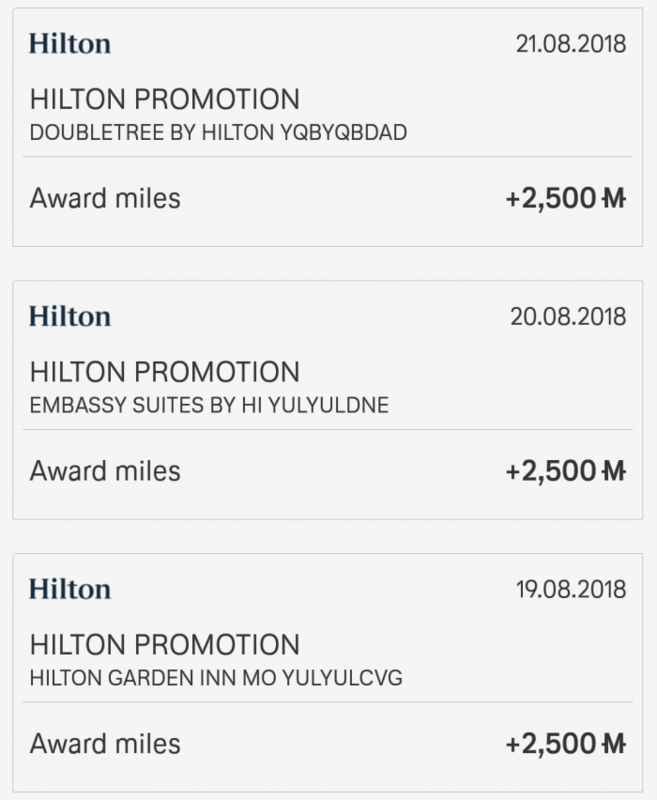 Don’t think that I can keep the same momentum going on with my Hilton stays until the end of October (would have 50 – 60 stays!) but I believe that 40 or so will be doable and 100K Miles&More miles for a nice Lufthansa First class flight to somewhere.